The Peopleâ€™s National Congress Reform (PNCR), hereinafter referred to as â€œthe Partyâ€, is a democratic organization which believes that all persons are entitled to live a full, productive and happy life. Itâ€™s membership is open to all Guyanese regardless of ethnic origin, cultural background, geographic location or religious persuasion. The Party opposes all forms of racism, discrimination, intolerance and oppression. The pursuit of policies and programmes which promote the interests of the disadvantaged in the society. The first elections held in the colony of British Guiana under Universal Adult Suffrage were held in 1953. The Peopleâ€™s Progressive Party (PPP) of which Dr. Cheddi Jagan was Leader and Linden Forbes Sampson Burnham, Chairman romped home to victory. A note of explanation would be in order here. There was no clear line between the positions of Leader and Chairman of the PPP. As a result in significant sections of the country, Mr. Burnham, with his superior intellectual gifts, was always regarded as the top man in the Party. Several political writers have noted that Burnham was promised the leadership of the Party when he returned home but such a move was stymied by the first PPP Congress in 1950. The rule of the first PPP Administration was brief. The radicalism of the Jagans and the resulting policies of the PPP brought the PPP Government into sharp conflict with the Colonial Administration. The Constitution was suspended in 1953. For four years there was a period of â€œmarking timeâ€. There were two factions of the PPP: the PPP (Jaganite) and the PPP (Burnhamite), as a result of a split in the original PPP in 1955. After the elections of 1957, Mr. Burnham decided to make a decisive break with the PPP. On the 5th October 1957, the PPP Burnhamite held a Congress at the Globe Cinema in Georgetown whereat it adopted the name â€“ Peopleâ€™s National Congress (PNC). That Congress elected Linden Forbes Sampson Burnham as the Partyâ€™s First Leader with Joseph Pariag Latchmansingh as Chairman and Jai Narine Singh as General Secretary. This policy statement, on the national orientation of the PNC, now PNCR, remains as valid today as it was when uttered by our Founder Leader, Mr. L.F.S. Burnham, on 16th April 1957. Having lost the elections in 1957, Mr. Burnham sought to strengthen his Party by absorbing the United Democratic Party (UDP) and the National Democratic Party (NDP), which were led at the time by John Carter and Rudy Kendall, respectively. The PNC participated in the 1961 elections and even though it received only eleven (11) seats, it recorded some 42% of the votes. The PPPâ€™s percentage of the votes was only marginally ahead with some 44% of the votes but with 20 seats. It, therefore, became a matter of policy for Mr. Burnham to press for different but more equitable electoral arrangements. In 1963, the British Government, in agreeing with the argument of the PNC, and wishing to impose a system agreed to by all of the leaders, opted for Proportional Representation (PR). The PPP was defeated at the next elections in December 1964, and, in a coalition with the United Force (UF), Mr. Burnham became Premier and then Prime Minister of British Guiana. The PNC took Guyana into Independence in 1966. Having assumed the reins of the Government, in December 1964, the PNC Administration, under the leadership of L.F.S. Burnham, moved quickly to bind up the societal wounds, which were created in the body politic during the anti-colonial struggle and to prepare the people for National Independence and eventual Republican Status within the Commonwealth of Nations. It is significant that in Government, the PNC also sought to restructure itself to make it a more effective political organisation. While maintaining the basic structure of a Leader and an Executive over arched by a Congress and a General Council, the Party decided in 1973 that there would be Biennial Congresses. Mr. Burnham declared that the Party would not be a mere election machinery but must become part of the nation-building process. As a result, the Party, especially the Womenâ€™s Arm, which had become the Womenâ€™s Revolutionary Socialist Movement (WRSM) in 1977, and the Youth Arm, the Young Socialist Movement (YSM), engaged in a number of major economic projects. At this period too, the Party sought to create a socialist society in which the poor was not disadvantaged and birth, gender or race were not a barrier to opportunity. In fact, the Party in Government had a tremendous track record. The entire infrastructure of Guyana â€“ physical, educational, economic, cultural and political â€“ was built between 1964 and 1975. All of the major housing schemes, arterial roads, drainage and irrigation schemes, to give a few examples, were built while the PNC was in Government. In fact, had it not been for the quadrupling of oil prices between 1973 and 1979, the PNC would have transformed Guyana in significant ways. The sharp and sudden oil prices triggered the worst global recession and the consequences for Guyanaâ€™s fragile and open economy were devastating, as they were for even the more developed and matured economies. A major chapter of the Party closed when Mr. Burnham died on the 6th of August 1985. 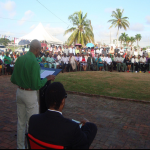 Mr. Hugh Desmond Hoyte became Leader of the PNC and was confronted by a new set of circumstances. With the fall of the Berlin Wall and the collapse of the Soviet Union, the world entered an era characterised by a new phase of globalisation. A democratic dispensation was born and market forces became the order of the day. The PNC had to adjust to these changes. Elections were held on the 5th Octoberâ€™ 1992. The PPP just managed a majority in Parliament by forming an alliance with the Working Peopleâ€™s Alliance (WPA). 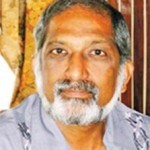 The PNC could easily have returned to the seat of Government had it not been for the controversial elections of 1997 and 2001. Under the stewardship of successive PNC Administrations,between 1964 and 1992, Guyana experienced not only significant political and constitutional advance but also unprecedented nation building efforts in every aspect of human endeavour. 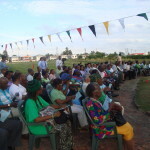 New Institutions for the Nationâ€™s Development and Defence were established: Financial institution such as the Bank of Guyana, the Guyana National Co-operative Bank (GNCB), the Guyana Co-operative Mortgage Finance Bank (GCMFB), the Guyana Agricultural and Industrial Development Bank (GAIDB), the Guyana State Corporation and the National Insurance Scheme (NIS), the Guyana Defence Force (GDF), the Guyana Youth Corps, the Guyana National Service (GNS), and the Guyana Peopleâ€™s Militia, to guard and defend the new nationâ€™s territorial integrity. 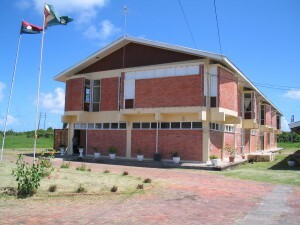 In Education and Culture: we saw the construction of a new Teachers Training College, the University of Guyana campus at Turkeyen, the new Technical Institutions in Georgetown and New Amsterdam, new Multilateral Schools throughout the coastal belt as well as Presidentâ€™s College, the â€œSchool of Excellenceâ€, and the Critchlow Labour College. Infrastructural Development: in housing; potable water supply; sea and river defences; drainage and irrigation projects, in support of agriculture development at the MMA, Black Bush Polder, Tapakuma, and Boerasiri. There were major road networks development including: the Soesdyke/Linden Highway; the Corentyne Highway; the East Demerara/West Berbice Highway; the West Bank and West Coast Demerara highway; and roads developed on the East Bank Essequibo and Essequibo Coast. There was also the Demerara Harbour Bridge and the Canje Bridge. Social and Cultural Development: the policy of free education, from Nursery to University, was adopted. 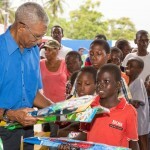 Many new cultural institutions and activities were inaugurated, including: Guyfesta; Carifesta; the National School of Dance; the Burrowes School of Arts; the National Cultural Centre; and the Theatre Guild Playhouse. 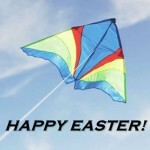 National Religious Holidays were recognised, in 1967, to celebrate our countryâ€™s rich religious and cultural diversity. Our indigenous peoplesâ€™ cultural heritage was recognized by the establishment of the Amerindian Languages Project at the University of Guyana. The Amerindian Lands Commission was appointed to demarcate the lands to be deeded to the various Amerindian communities throughout Guyana. Land titles were vested in the various Amerindian communities since 1976. Meanwhile, at the Caribbean regional and wider international levels,Guyana became internationally recognised for its leadership role in every international fora wherein it exercised its membership. At the United Nations, the Commonwealth and the Non-Aligned Movement, in which it played a seminal role, during the decades of the 1970â€™s and early 1980â€™s. In our Caribbean region, Guyana, under the PNC Government, was one of the pioneers for the establishment of Carifta, the fore runner of the present Caribbean Community.Prime Minister Burnham was one of the four Founding Fathers who were the original signatories to the 1973 Treaty of Chaguramas which established the Caribbean Community and Common Market. Eighteen years after demitting office the PNC, now PNCR, has witnessed the almost reversal of its efforts at nation building by a PPP/C Administration more interested in perpetuating itself in office, through selfish and partisan approaches to governance. Political and racial discrimination had become the order of the day. There is widespread and entrenched corruption at all levels of the society. Insecurity has become the number one concern of the average citizen, due to widespread violence springing from official collaboration with notorious criminals, linked to drug cartels and gun running outfits. The continuing violation of the human rights of citizens, including the illegal and unconstitutional use of torture; the increasing violence and widespread abuse of women and children; the seeming inability of the state apparatus to maintain law and order in the society. All of the above developments have contributed, in no small measure, to the unpopularity of the regime. Meanwhile, it is no secret that the young people of our country are once again looking to the Peopleâ€™s National Congress Reform to restore their faith in the future of Guyana, by the visionary leadership, of the kind experienced by their parents and grandparents, generations ago. Our young people yearn for the day when our nation building approach to governance can be resumed, whereby they would be able to foresee the bright future of a modern developed Guyana in which they and their offspring feel wanted and are able to play a meaningful role. In the mean time, the Party modernised itself and brought within its ranks elements of civil society known as the Reform component. Thus was born the Peopleâ€™s National Congress Reform (PNCR). Mr. Hoyte died on the 22nd December 2002 and was succeeded by Mr. Robert H. O. Corbin, who has superior Ministerial experience to Mr. Bharrat Jagdeo. At his first Congress as Leader of the Party, he signaled that the PNCR would work with all individuals and organisations that have a vested interest in taking Guyana out of its current economic quagmire. 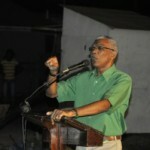 Brigadier David Granger became the Leader of the PNCR when he was elected at the Partyâ€™s 17th Biennial Delegates Congress on the 29th July 2012.